Cherinet Girma started cooking professionally about six years ago but his memories with food start much earlier when he lived in Addis Ababa, Ethiopia. He noticed as a child playing outside with his siblings and cousins that his grandma would always call him into the kitchen to taste her food to make sure there was enough salt and seasoning. He developed his palate in her kitchen, remembers her food fondly and tries to recreate her flavors. At age fifteen, Mr. Girma moved to the United States to escape the political repression that existed in his homeland and moved in with his older brother in Boston. They lived in an apartment building for six months until he could join his parents. The building had a few other Ethiopian boys and nobody in their building cooked traditional Ethiopian food (men aren’t encouraged to cook in Ethiopian culture) so Cherinet took it upon himself to feed his brothers and friends and soon more and more faces would show up for dinner. After trying his food it is obvious why so many people showed up! 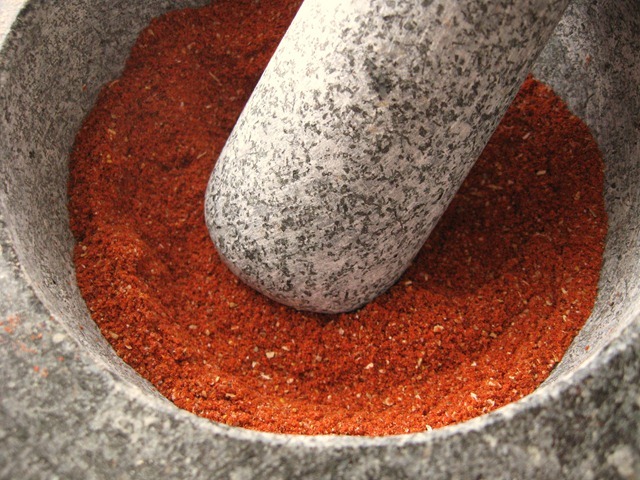 The name of the company ‘Berbere Ethiopian Cuisine’ comes from the main spice used in Ethiopian cooking. Berbere (pronounced bare-buh-ray) is crucial in doro wot (a chicken and egg dish to commemorate a special occasion) and other traditional dishes. Berbere gives food the distinctive maroon color, heat, and depth of flavor that is particular to Ethiopian cuisine. Cherinet’s berbere spice mixture came on a plane with his mother directly from Addis Ababa. He arrived exactly on time (four hours prior to dinner time) and brought his own cookware, cutting boards, cleaning supplies, fresh ingredients, and even a fire extinguisher (just in case…). Ingredients used included red lentils, yellow split peas, lemons, jalapenos, chicken drumsticks, eggs, shiro (a chickpea flour mixture), buttermilk, turmeric, berbere, and piles of fresh garlic, ginger and onions. Cherinet started working purposefully and efficiently, chopping onions, garlic, and ginger by hand. He doesn’t use a food processor because it changes the flavor of the food so the preparation is pretty labor intensive. Cherinet was pretty quiet during the preparation as he focused on getting organized but as things started to simmer and the onions started to cook down (it takes a long time to get the right consistency) we chatted about his wife and daughter and his journey from Ethiopia to the United States and the time he spent in ministry training school. Needless to say, Chef Girma has had an interesting journey to San Antonio and I’m so glad that he ended up here. We had discussed the menu prior to his arrival and I had requested doro wot (berbere spiced chicken with hard boiled eggs), yemisir wot (berbere spiced lentils), shiro alicha (yellow chickpea flour based dish) and kik alicha (yellow split peas). 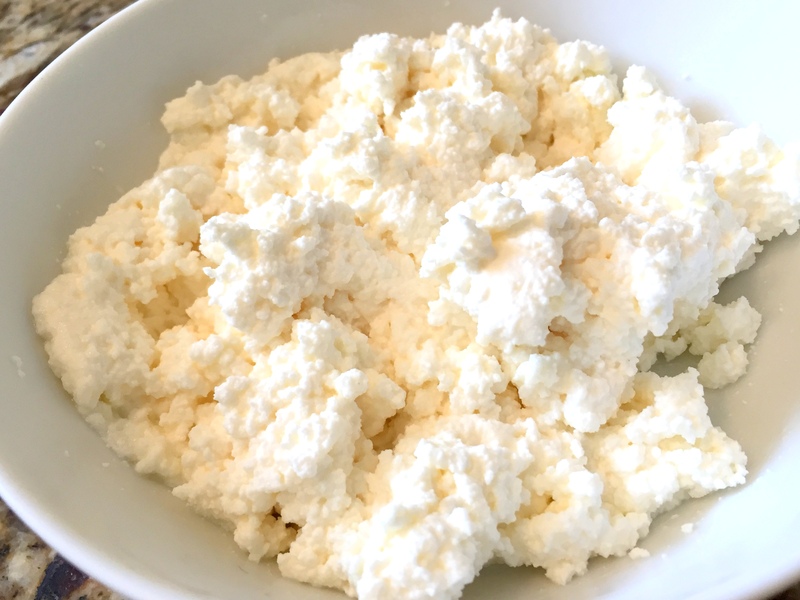 He also made from-scratch ayib (seen below), the soft creamy and tangy cottage cheese/ricotta cheese hybrid, to add a cool and creamy element to the plate. My mom’s favorite part of any Ethiopian platter is the salata, which is a simple salad with tomatoes and lettuce with a tangy salad dressing. Cherinet quickly whipped some of the lemon-based dressing up for her even though we hadn’t planned to have that on the menu. After four hours of simmering, boiling, and smelling all of the delicious smells – my family sat down and ate in silence… After a few bites everybody was smiling – the flavors of each of the lentils were unique and authentic. The yemisir wot was my favorite of the lentils – it was spiced and flavorful with the perfect texture of lentil, not too mushy and not too al dente. The shiro wot was velvety smooth but the flavor comes mostly from the turmeric and onions so it wasn’t too exciting to me. However, the kik alicha was delicious and the best part was probably the fresh jalapeno pieces that soak up the flavors. The meat-eaters said that the chicken was extremely tender and well-spiced (not spicy) and fell off of the bone. The salad was fresh and provided a crisp acidity and the ayib cheese was a nice creamy addition to counter the spices of the other components. The injera, although not homemade, tasted fresh and had the consistency that I have had at other restaurants. Chef Girma is working on trying to find the perfect ratios, ingredients, and fermentation time to make his own injera and I look forward to trying his recipe. Other menu items that I hope to try that I’ve had elsewhere are tikil gomen (cabbage, carrot, onion, and potato mixture), sambusa (Ethiopian version of a samosa, a triangle-shaped pastry with either meat or lentil filling), ambasha bread (a bread made with onion seeds usually served with ayib cheese), gomen (collard greens), and fossolia (green beans). My husband would probably like to try more of the meat dishes that include tibs (stir fried lamb/beef) and for adventurous folks kitfo which is like Ethiopian beef tartare. However, four hours would not nearly be enough time to make all of those items on-site. Though Cherinet mostly caters or provides the personal chef option to cook at your home, there is another way you can try his delicious creations. La Villita has a new People’s Nite Market from 6-10 PM on select Tuesdays to feature various types of cuisines, and Chef Girma started a booth there to showcase his cuisine. Other international food vendors will also be present so it sounds like a fun way to try a lot of different kinds of ethnic foods. The address of La Villita is 418 Villita St, San Antonio, TX 78205. This coming Tuesday (September 8th) is the Grand Opening event and they will be having a DJ, raffle prize giveaways, and other entertainment. Parking: the Convention Lot across from the Hyatt is free, the lot near the Majestic and Empire theatres are free, and all parking meters are free after 5pm. There is also a $5 lot directly behind La Villita. Hope to see you there!